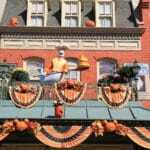 Main Street USA was completely decorated with friendly ghosts on the sidewalks or up on the buildings, and everywhere where you looked, you could see jolly Jack-o’-lanterns. 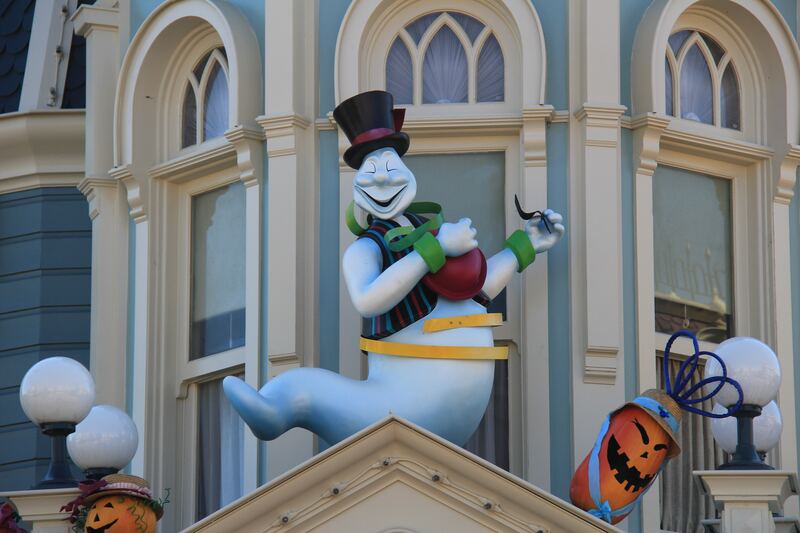 Every once in a while you could even hear the ghosts. 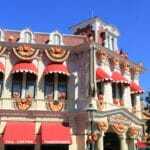 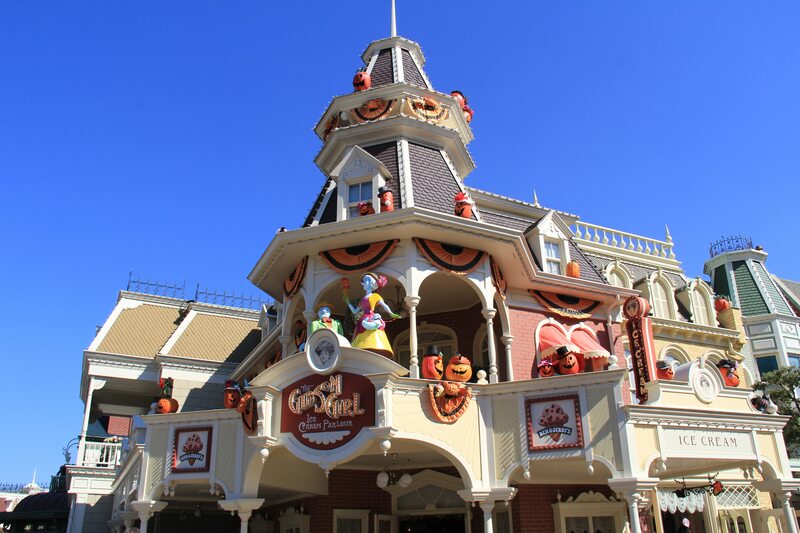 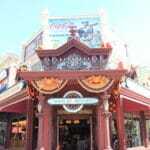 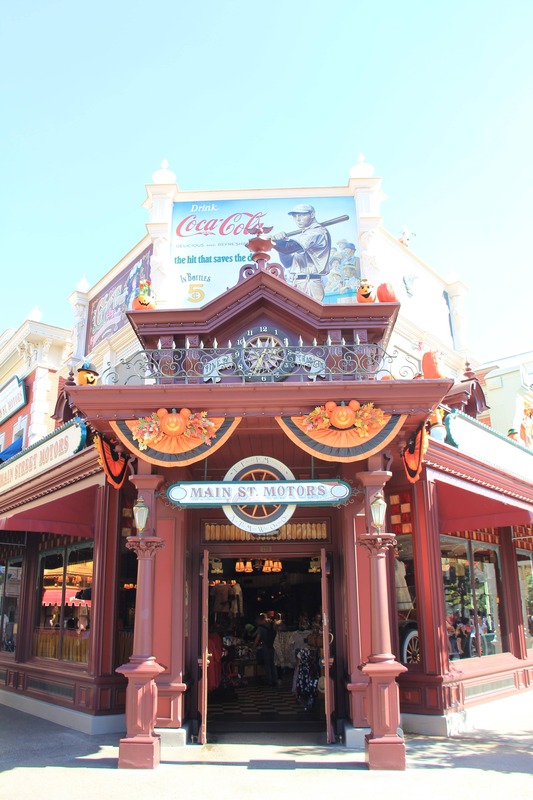 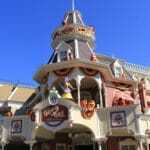 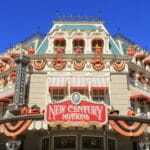 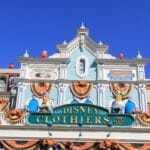 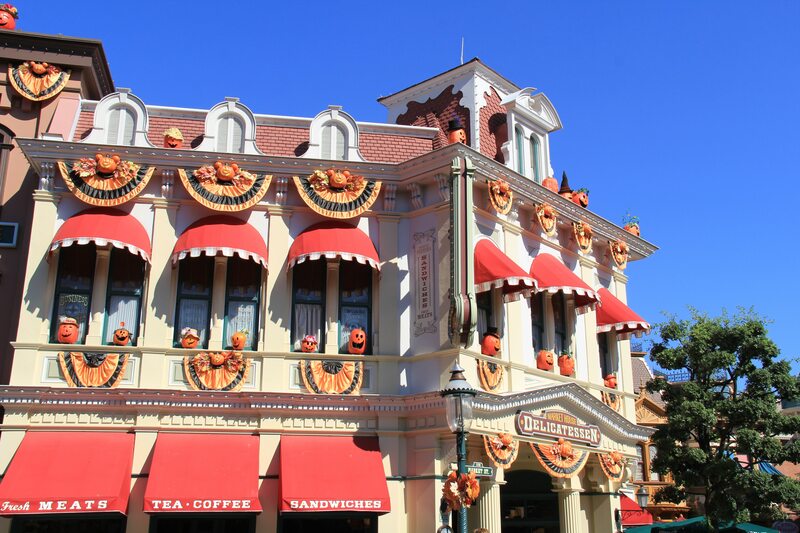 Several shops at Main Street USA also sell special Halloween snacks and merchandise. 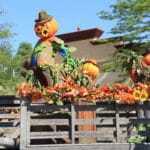 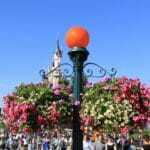 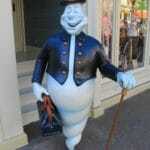 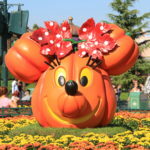 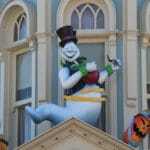 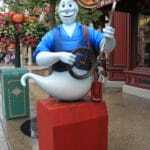 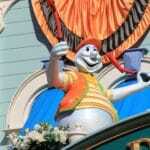 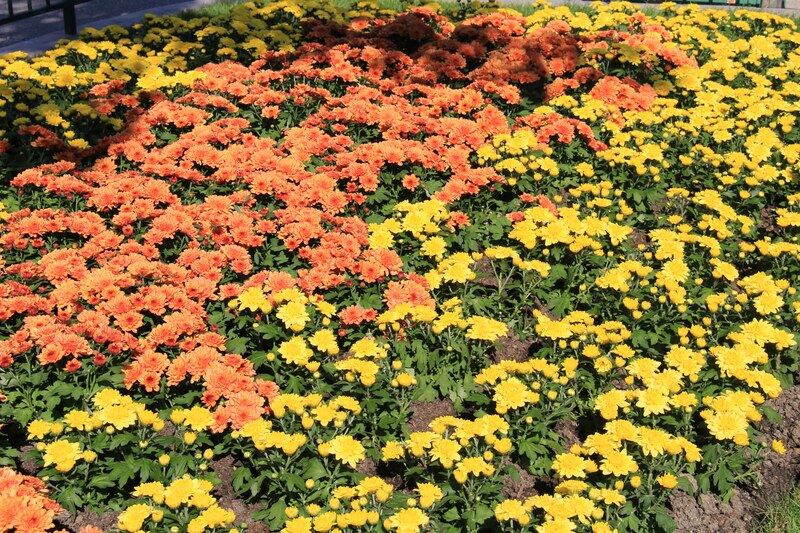 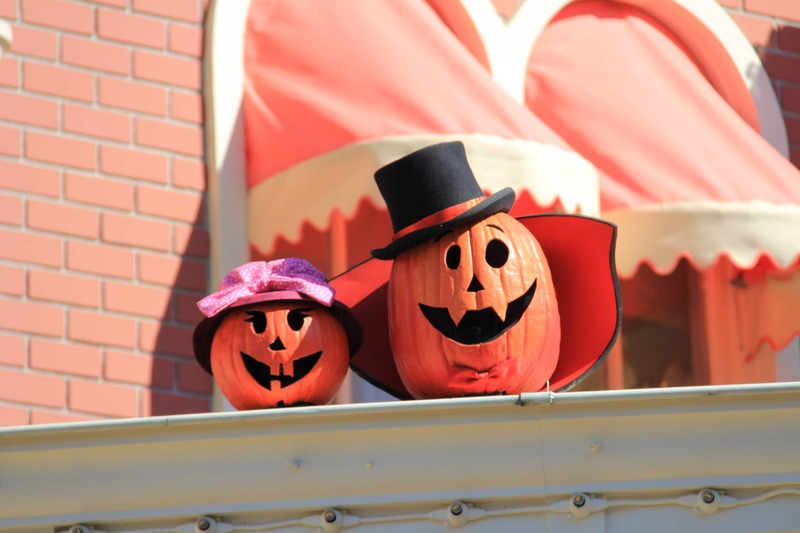 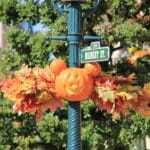 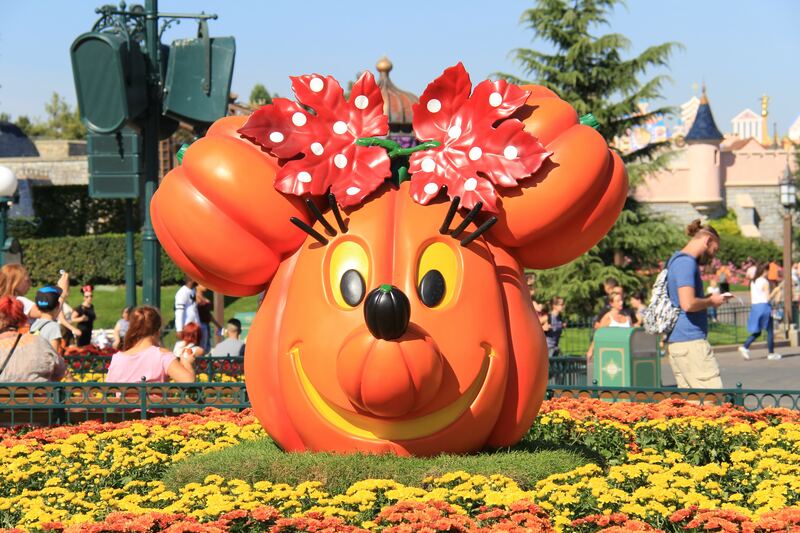 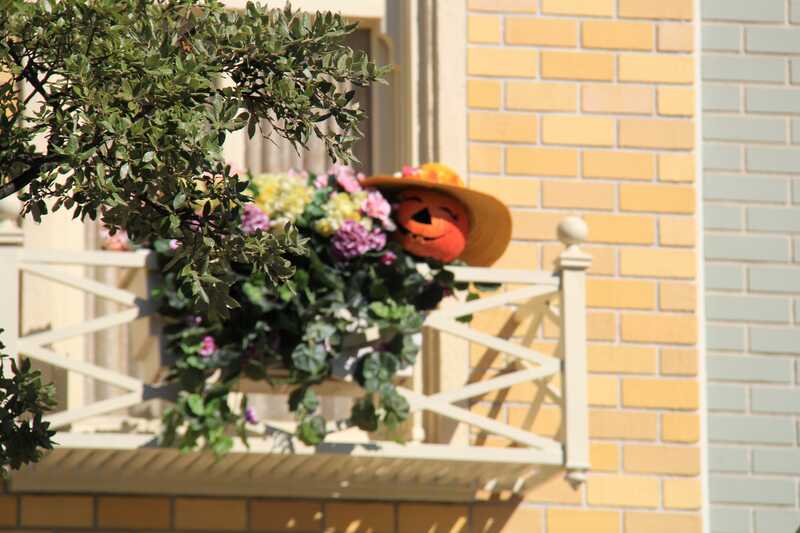 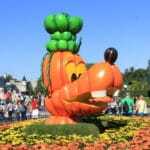 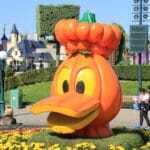 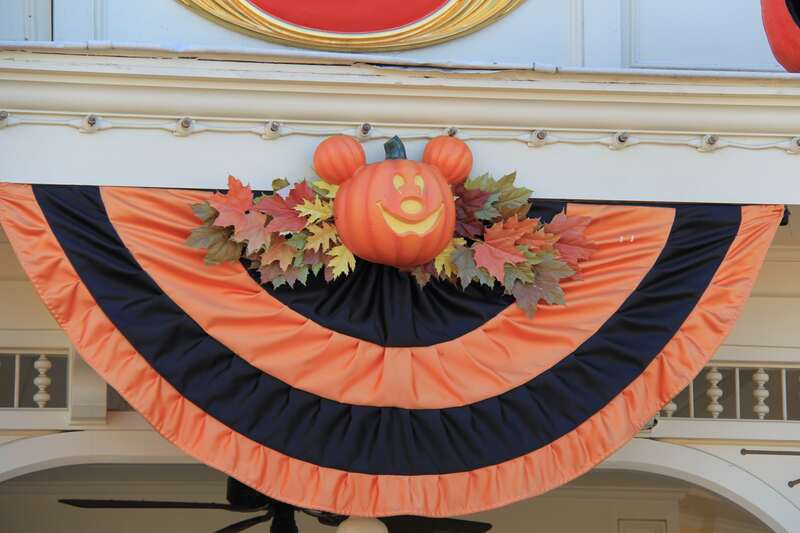 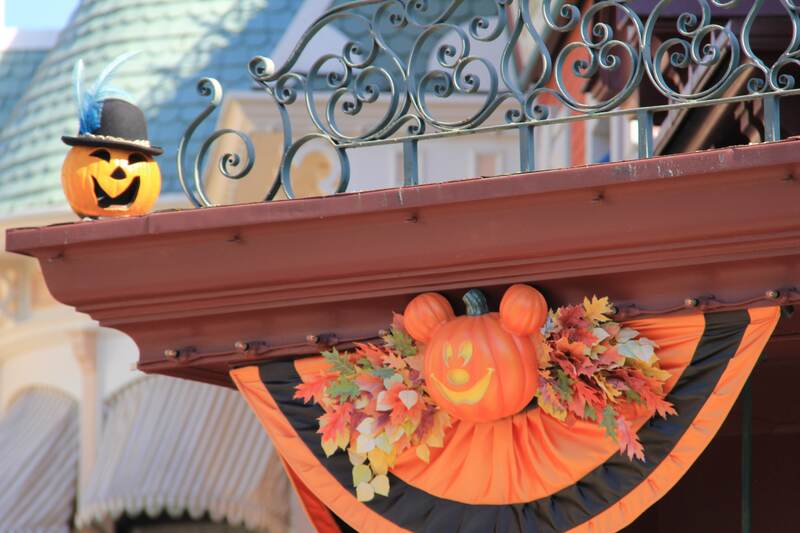 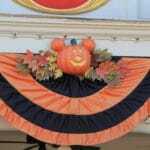 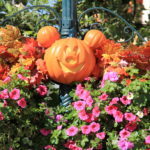 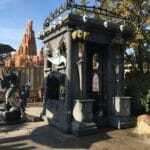 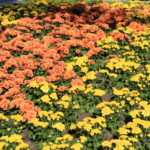 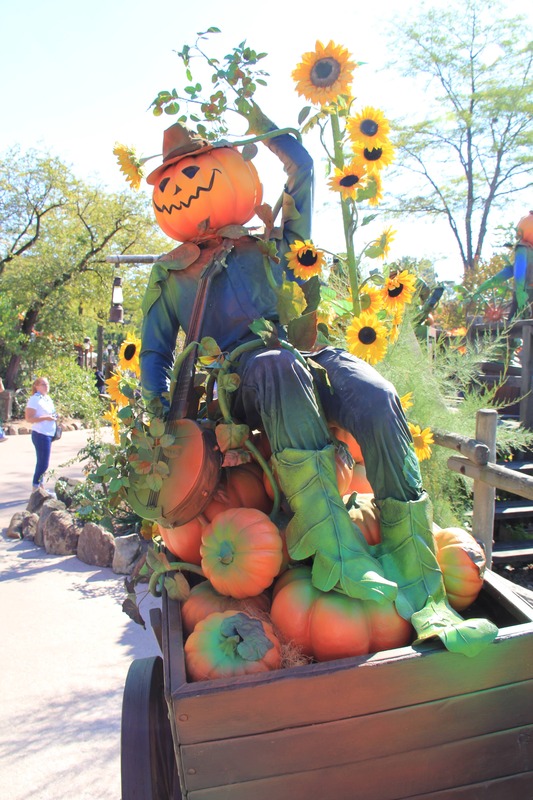 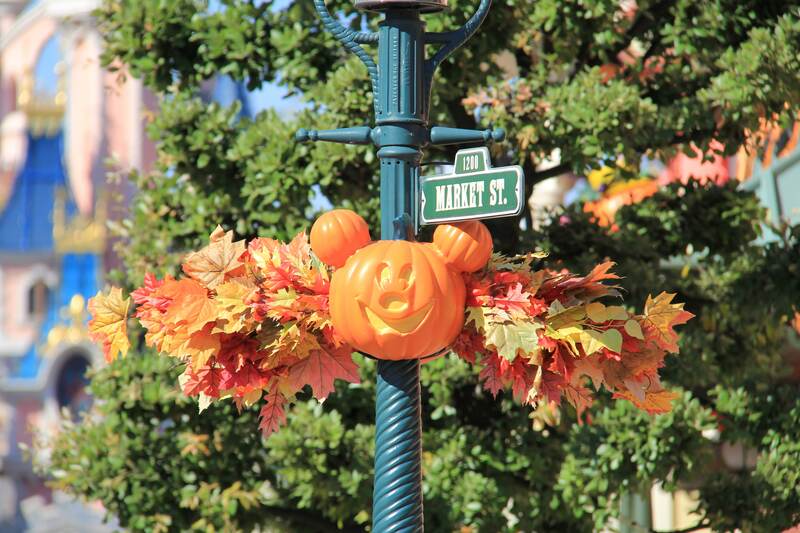 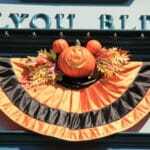 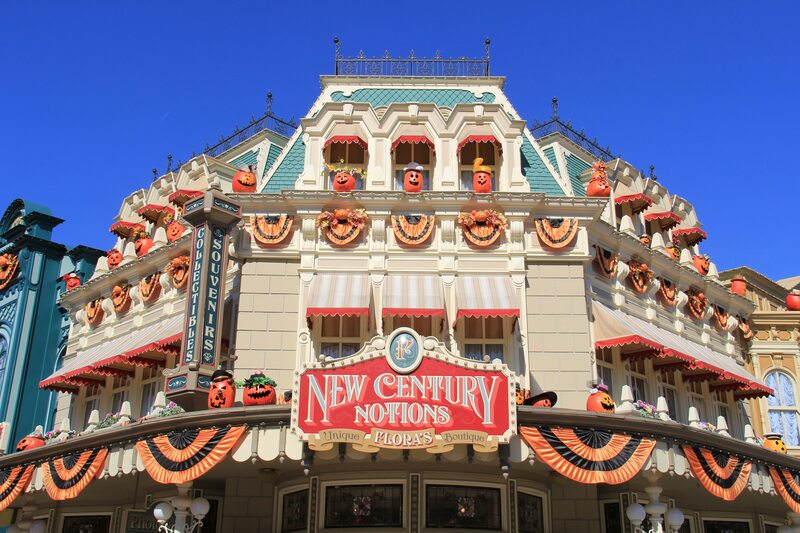 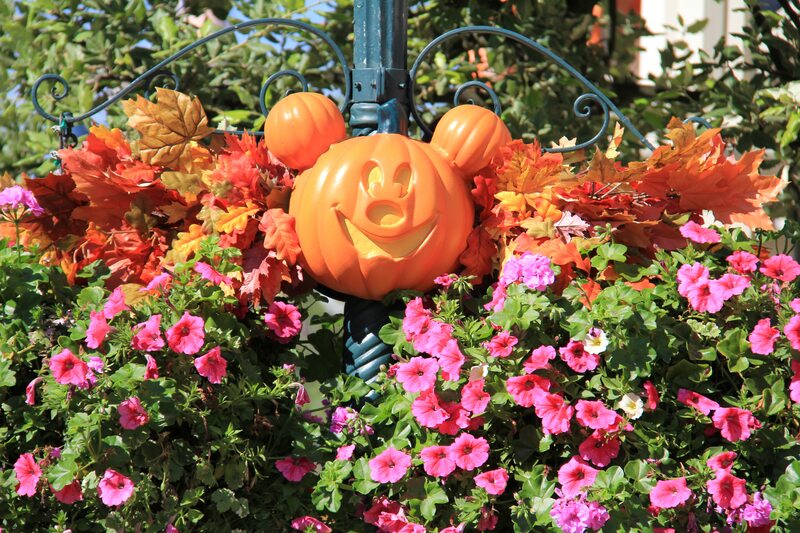 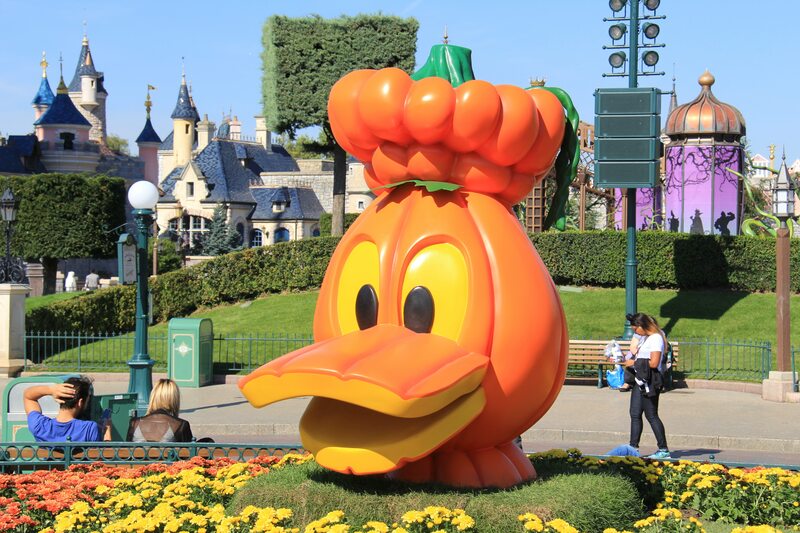 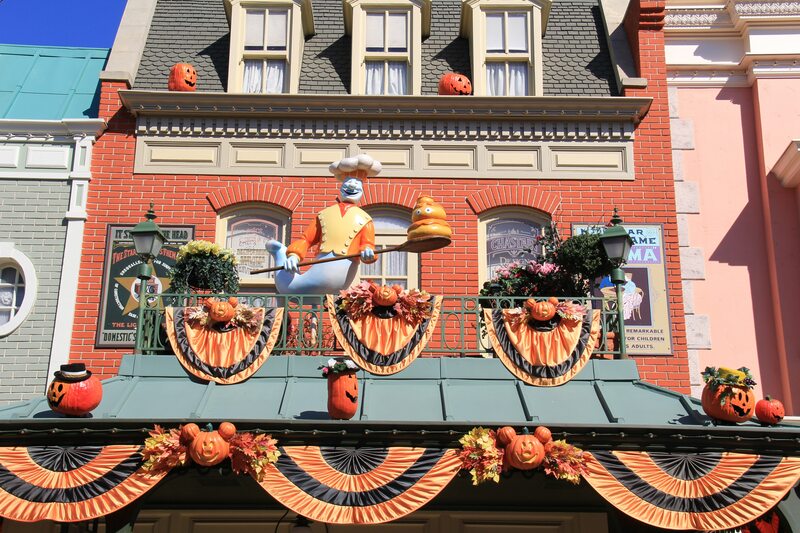 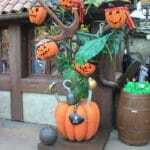 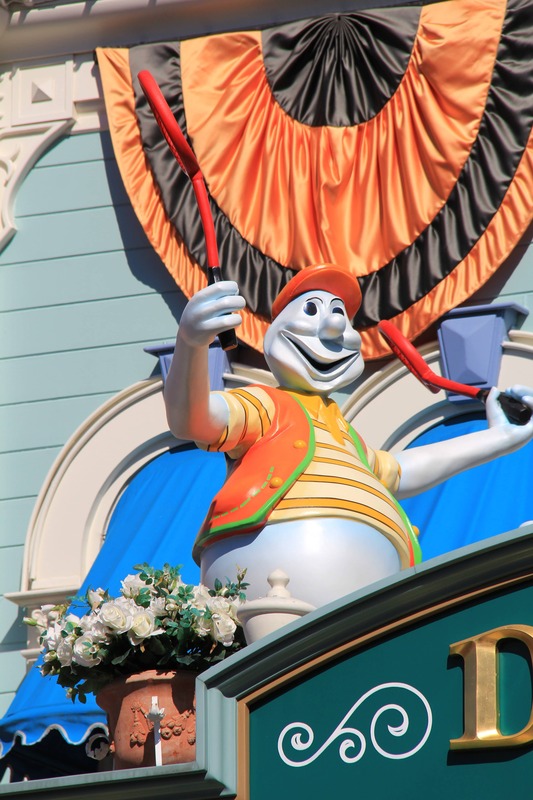 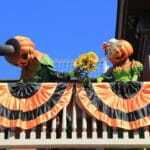 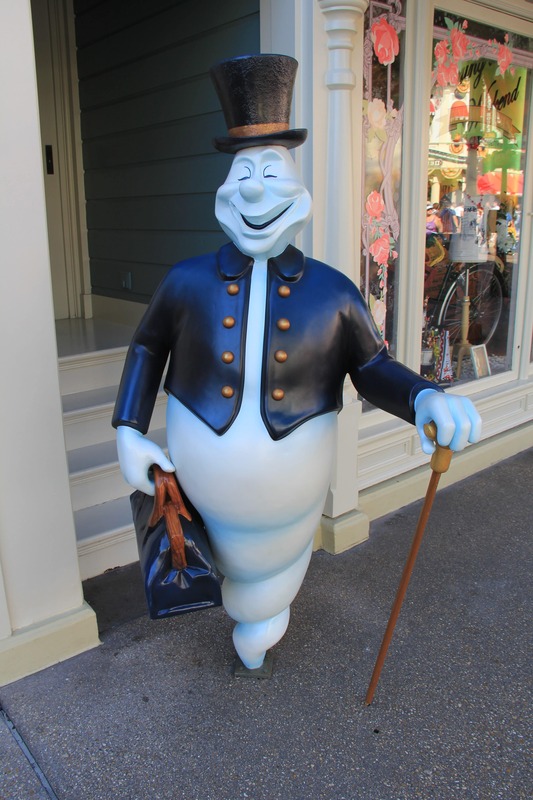 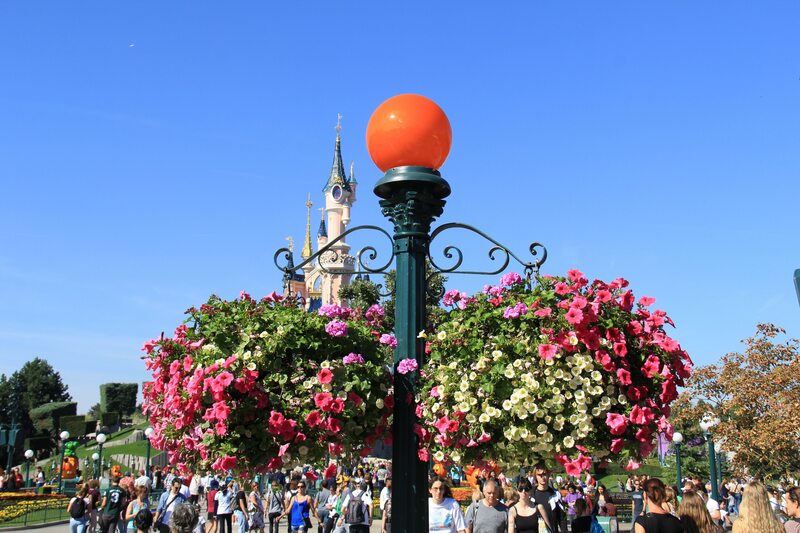 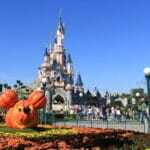 The hub shows some great topiaries with your favorite Disney characters are Jack-o’-lanterns. 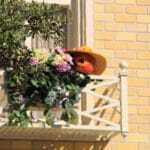 The detail on some of them were amazing. 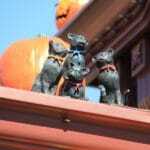 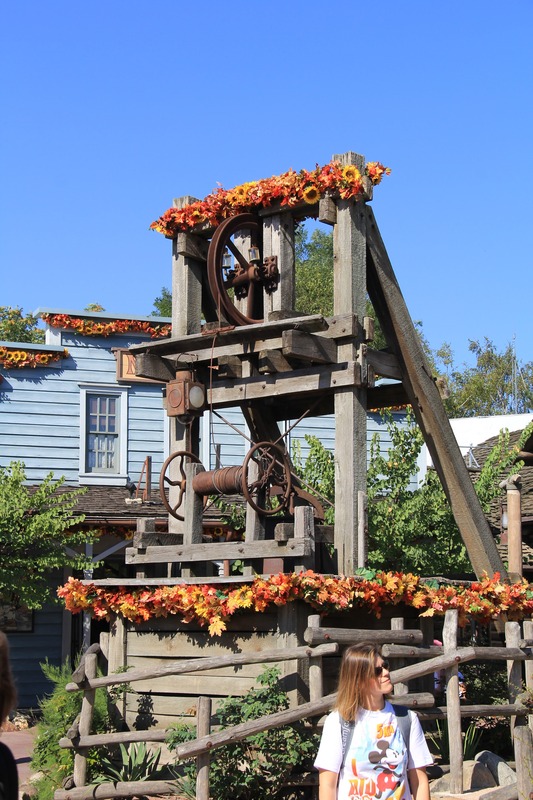 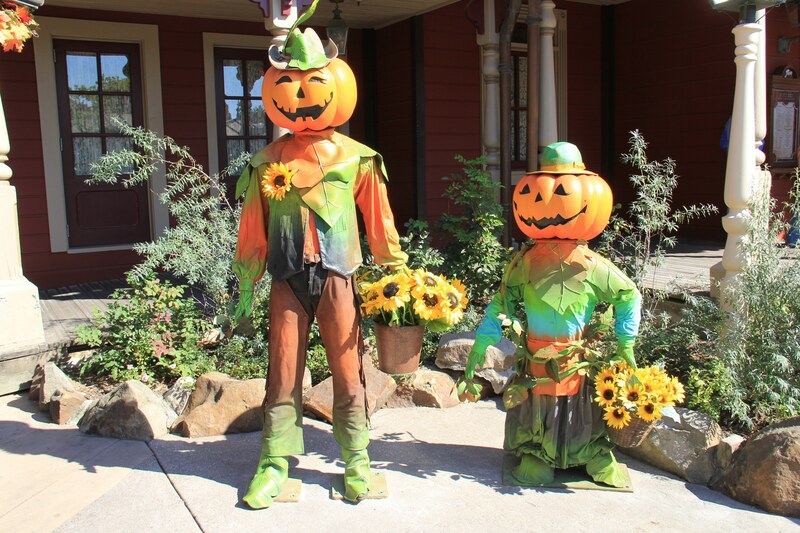 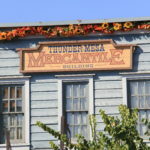 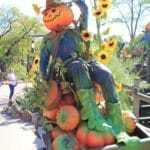 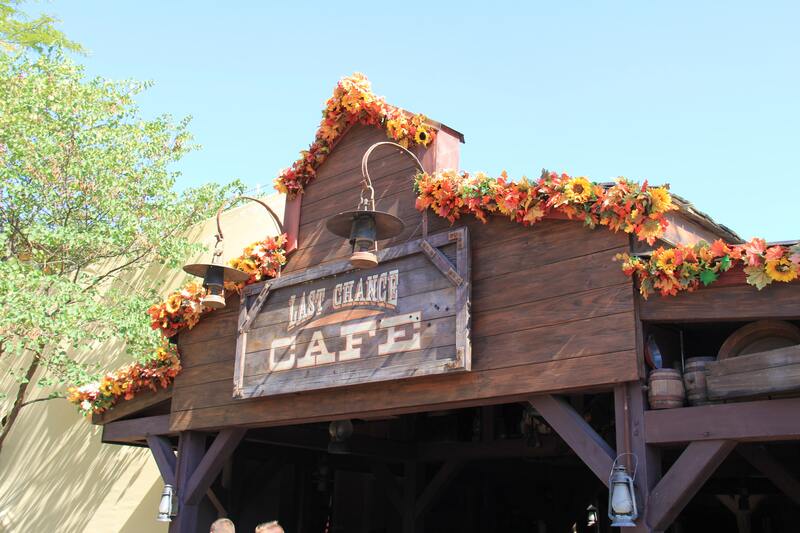 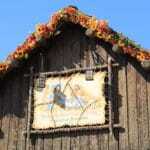 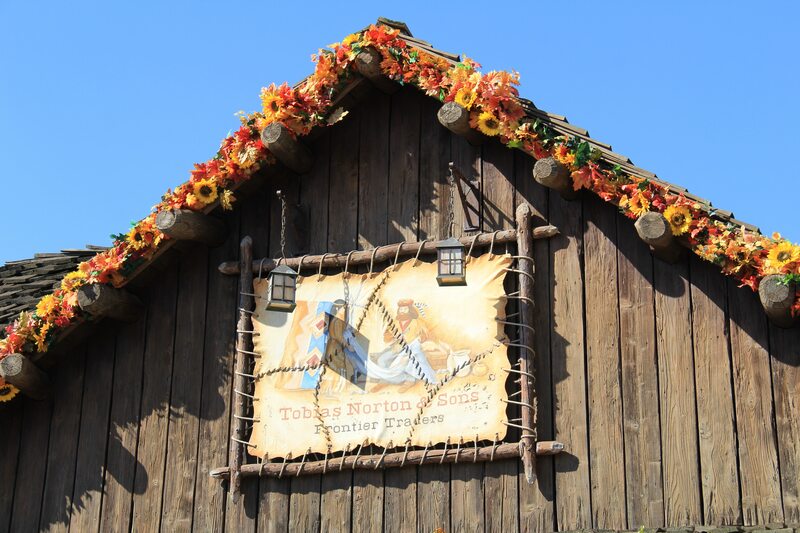 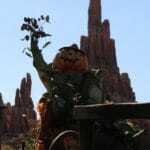 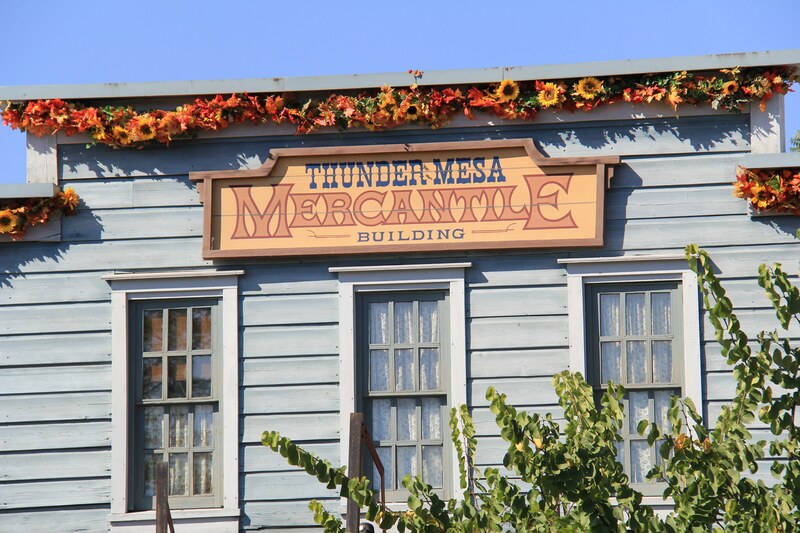 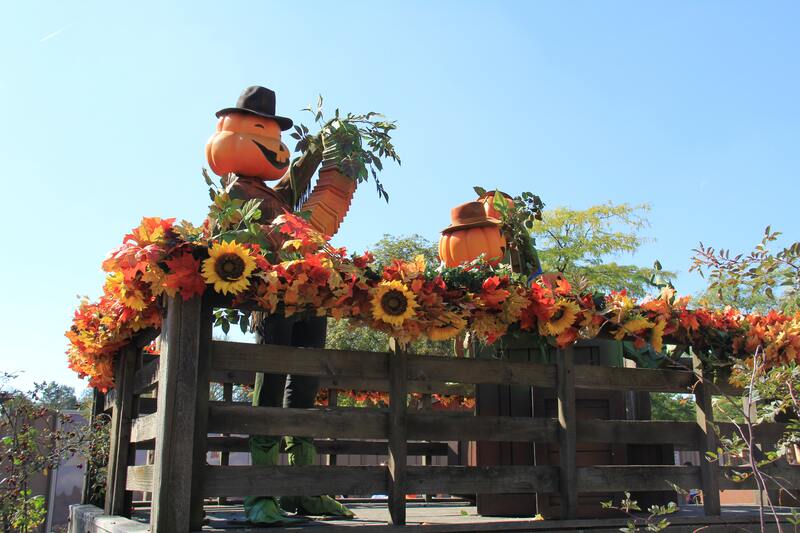 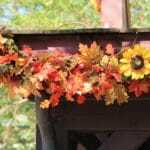 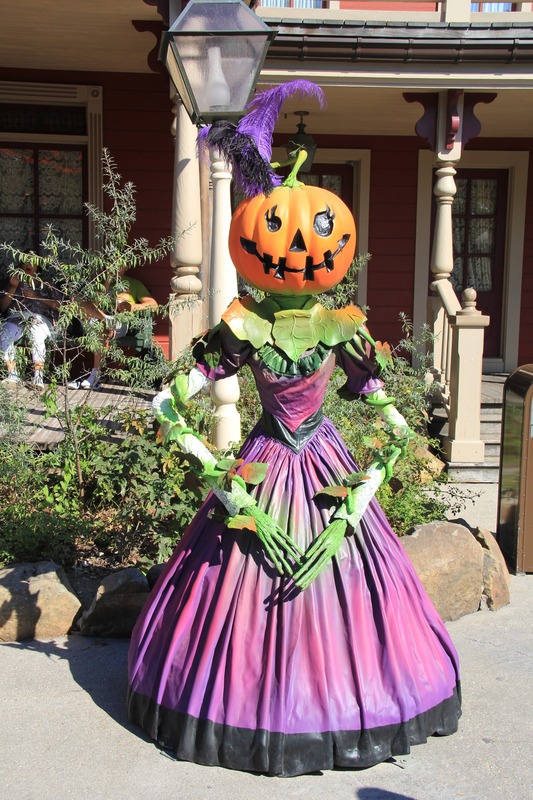 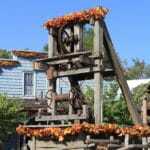 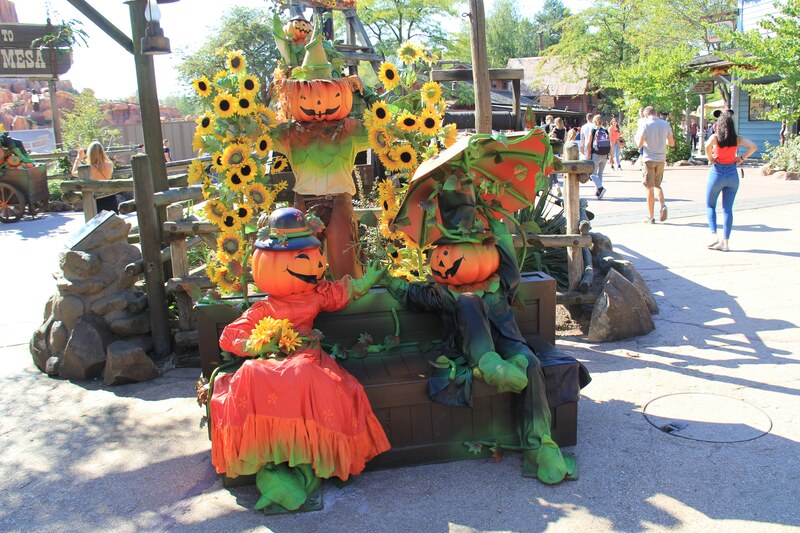 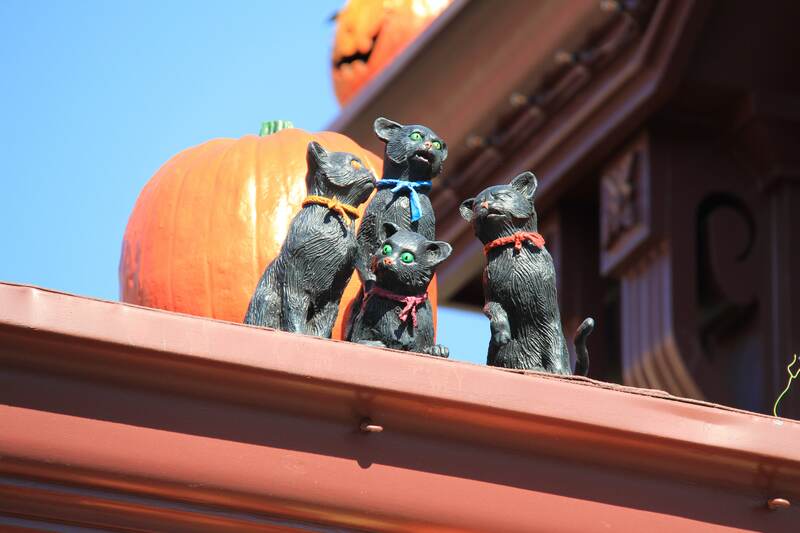 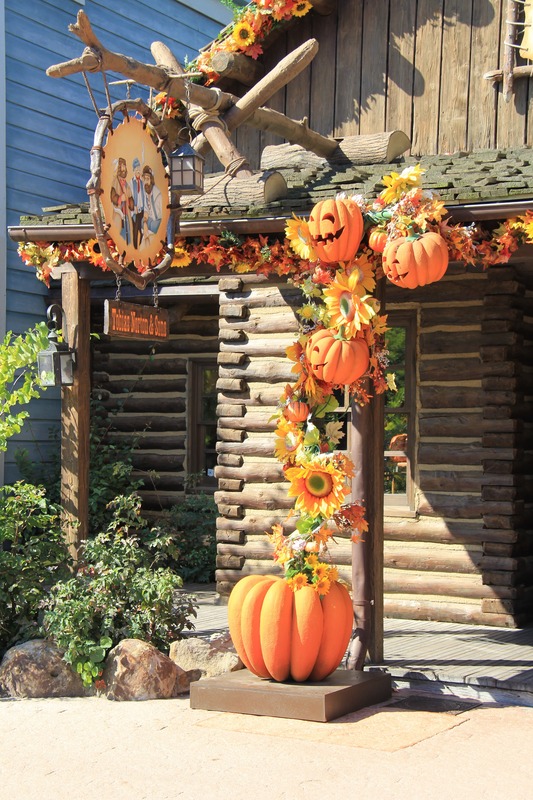 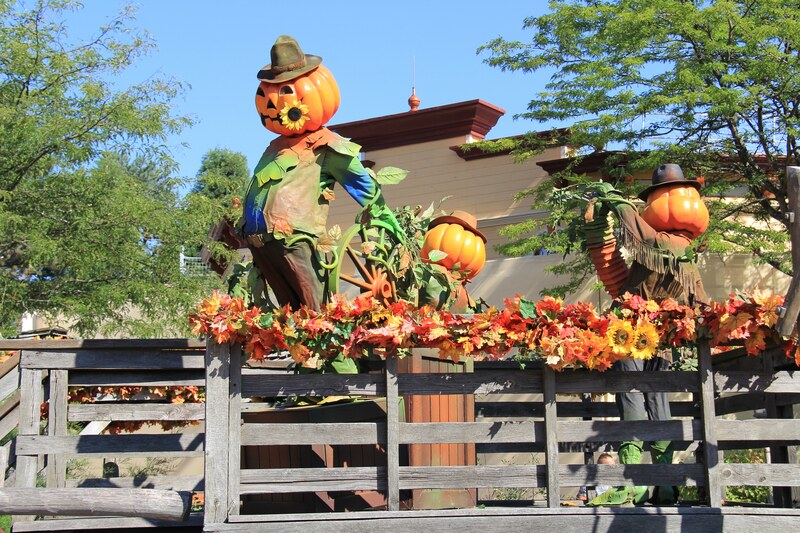 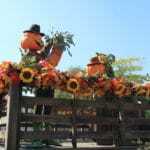 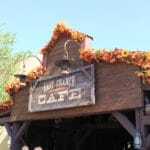 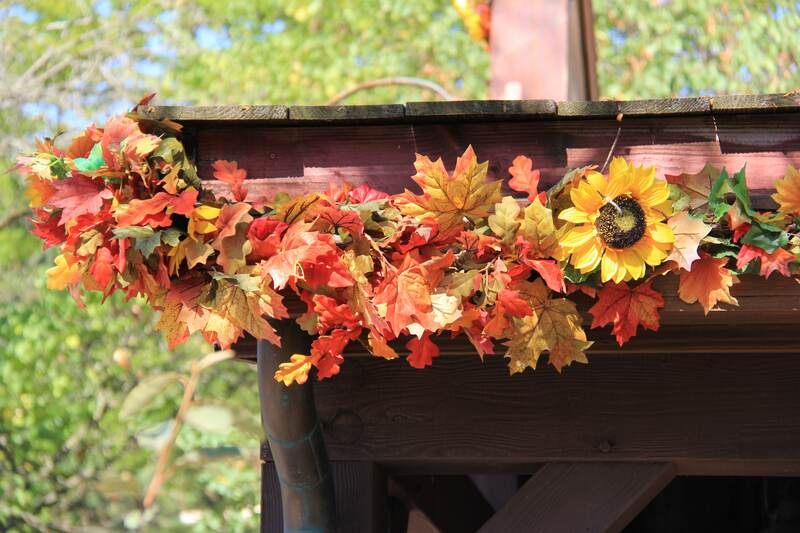 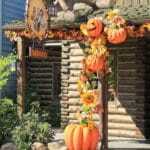 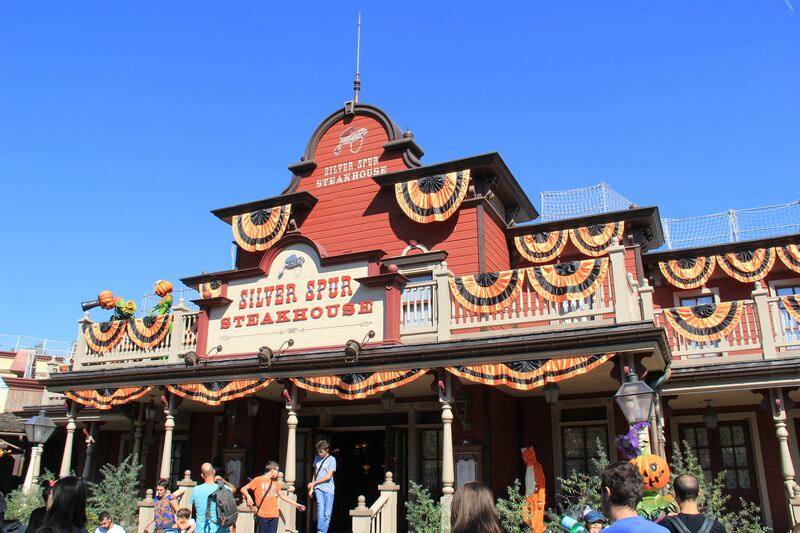 During Halloween Frontierland was also decorated. 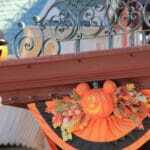 This is something we don’t see during for instance Spring-into-Swing or Disney’s Enchanted Christmas. 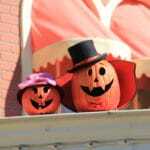 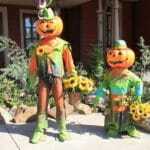 While you walked around you see some great Jack-o’-lantern displays, and with some you could even take a photo. 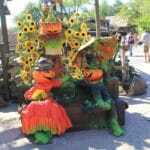 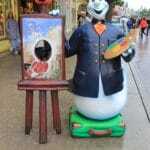 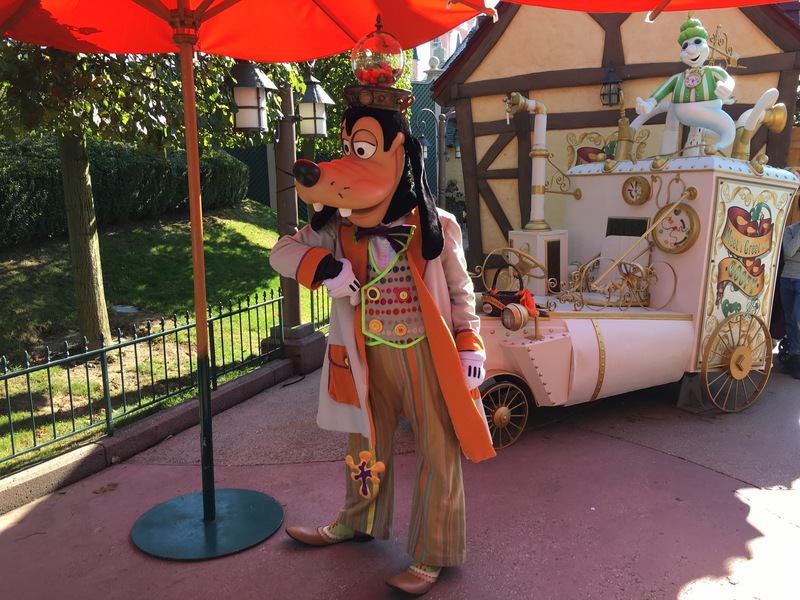 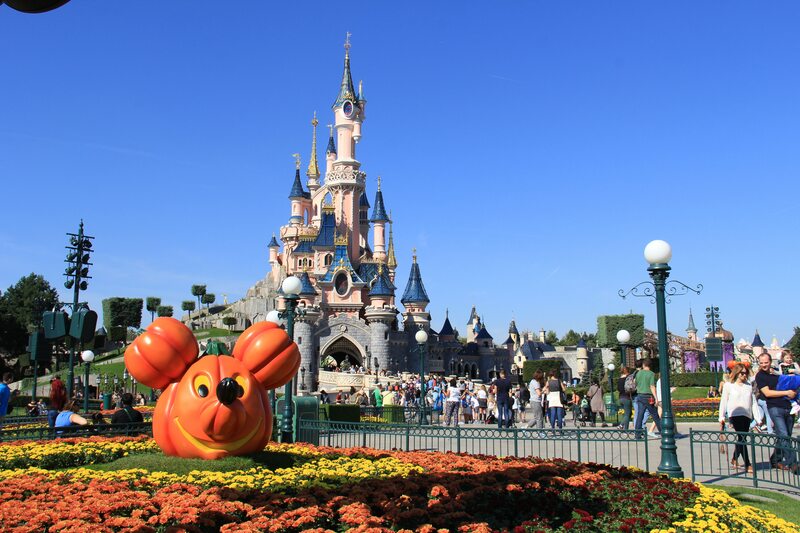 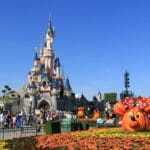 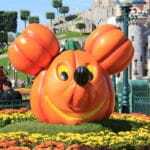 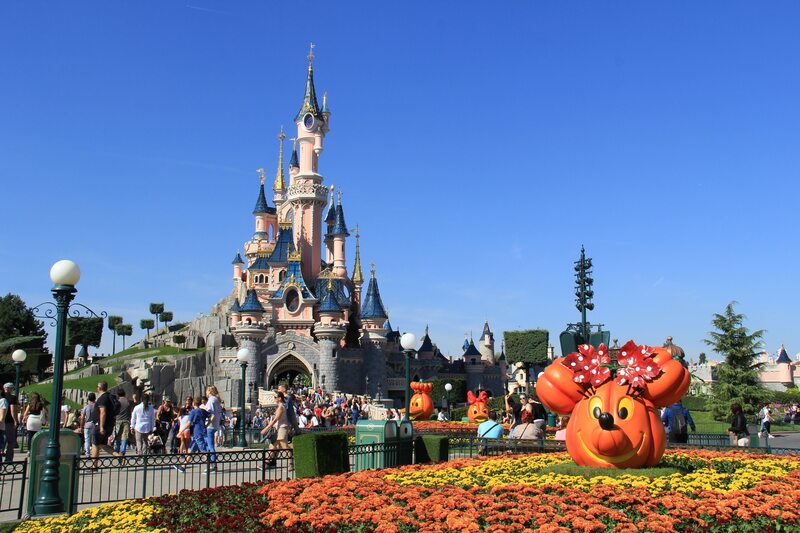 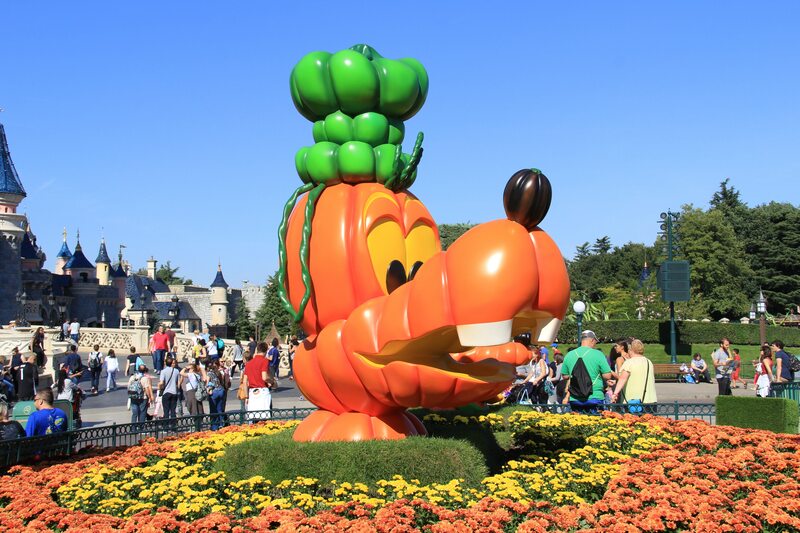 Several times a day Cast Member Cyril also known as Mr Pastèque Dlp performed his Disney magic on pumpkins. 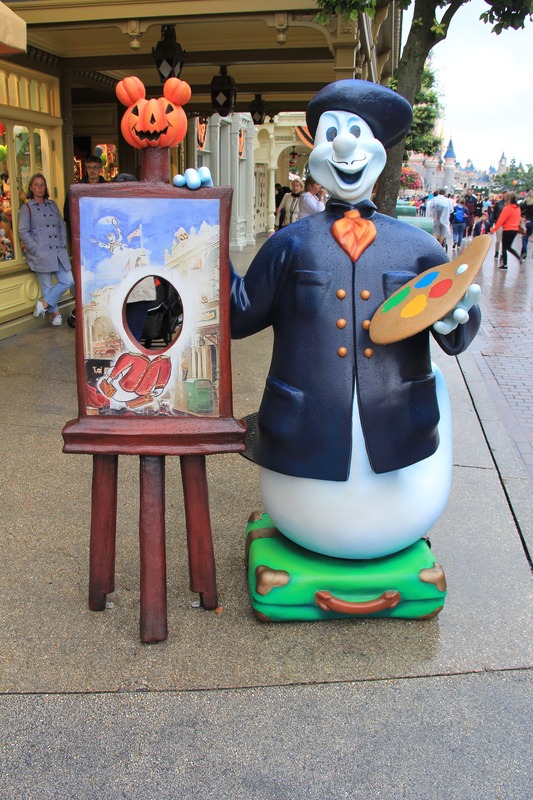 We were impressed and went back a few times to see what he was working on. 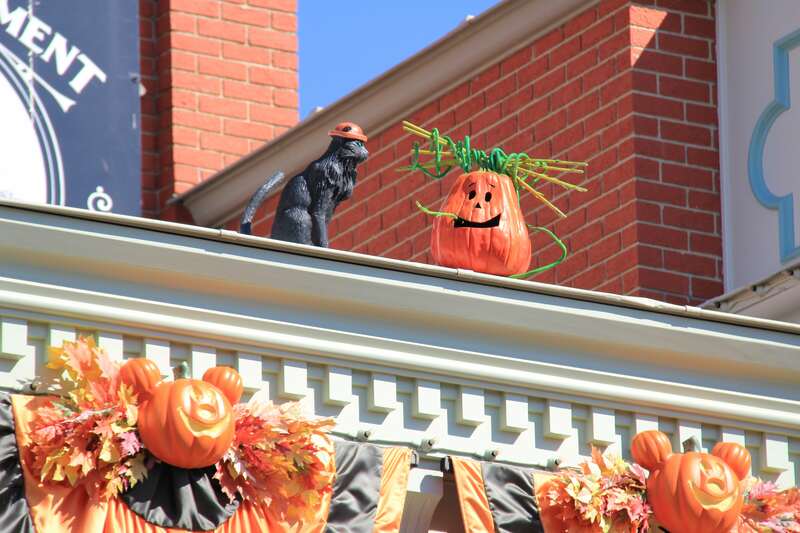 During Halloween, a second parade made its way down the parade route. 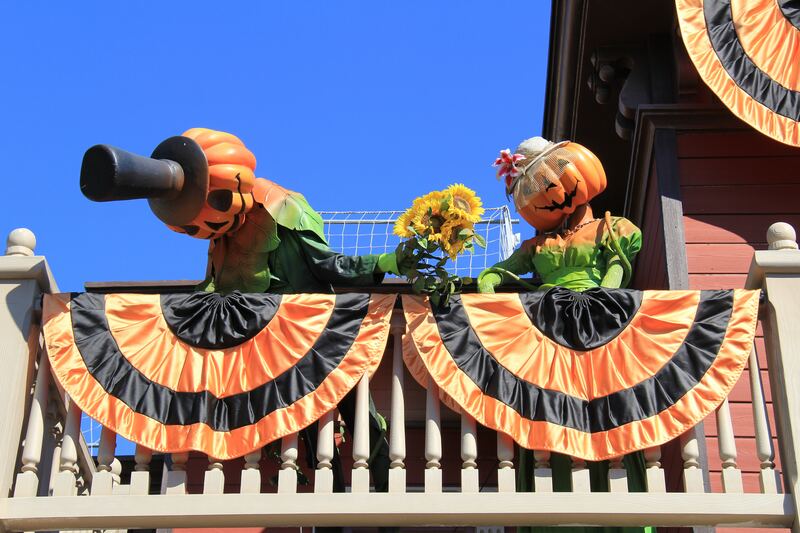 Mickey’s Halloween Harvest Celebration Parade is one of our favorite parades. 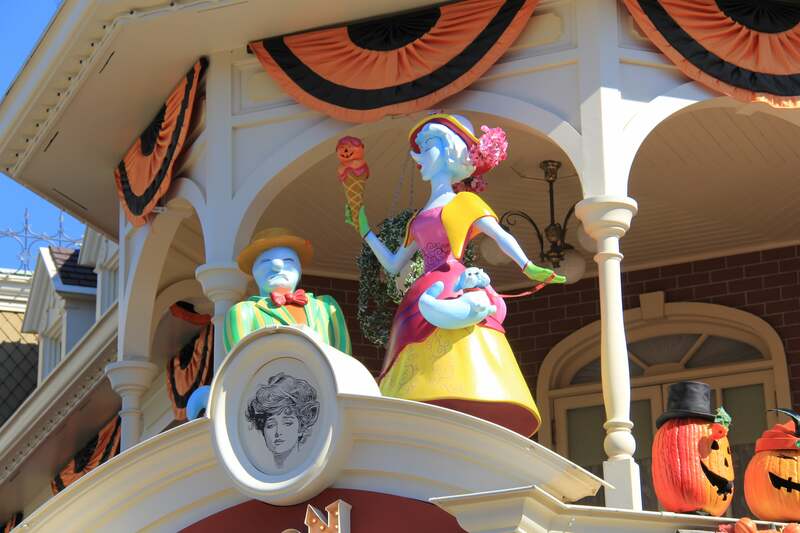 The song is really catchy, and the customs look amazing. 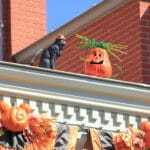 You can watch our 2016 recording below. 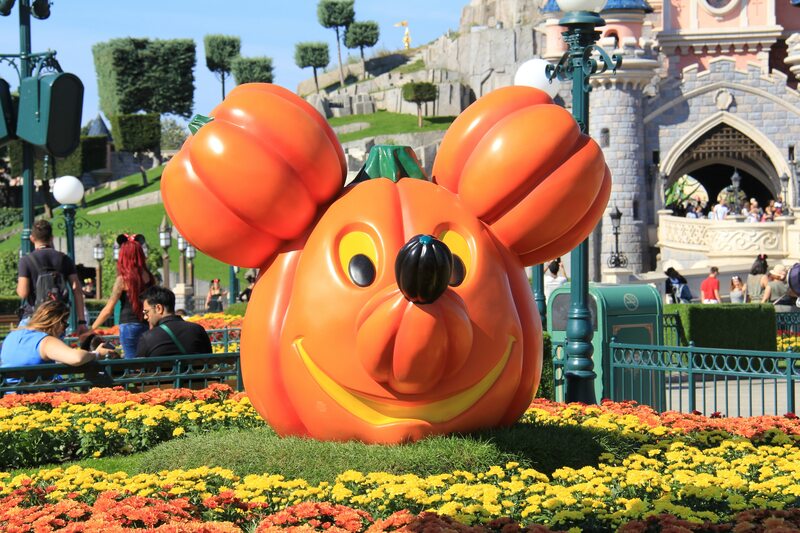 During the 2016 season, Disney’s Villains like Captain Hook, Jafar and the Snow White Queen would take over the Royal Castle Stage for a spooky show. 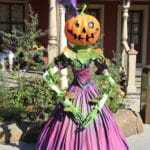 After the show, you had the opportunity to meet your favorite Disney Villain offstage and snap a photo with them. 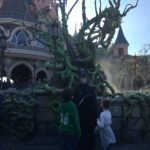 See below our recording of the Good to be Bad show of 2016. 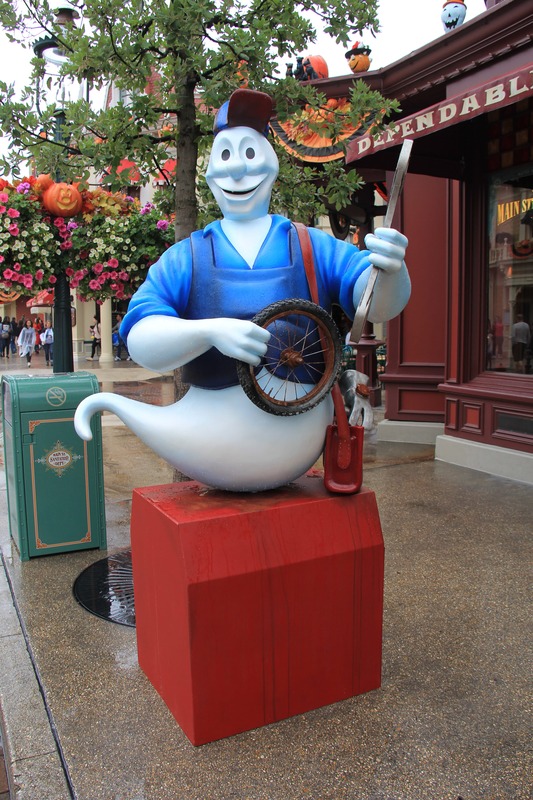 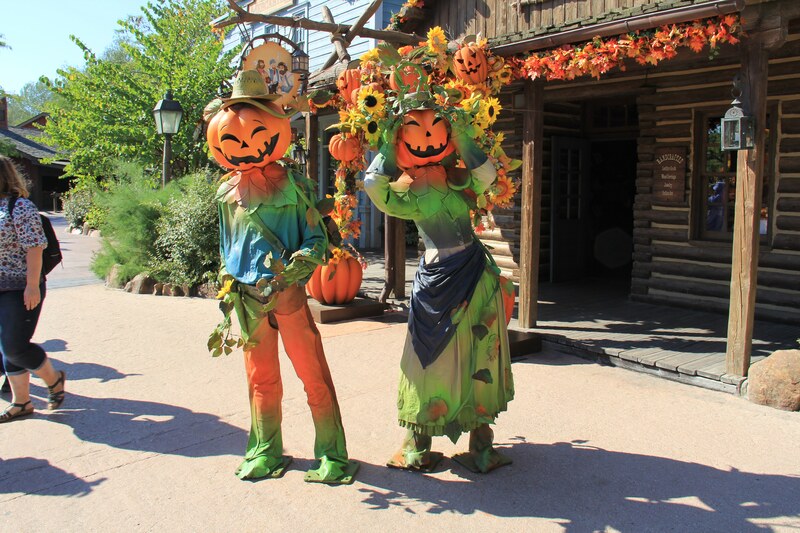 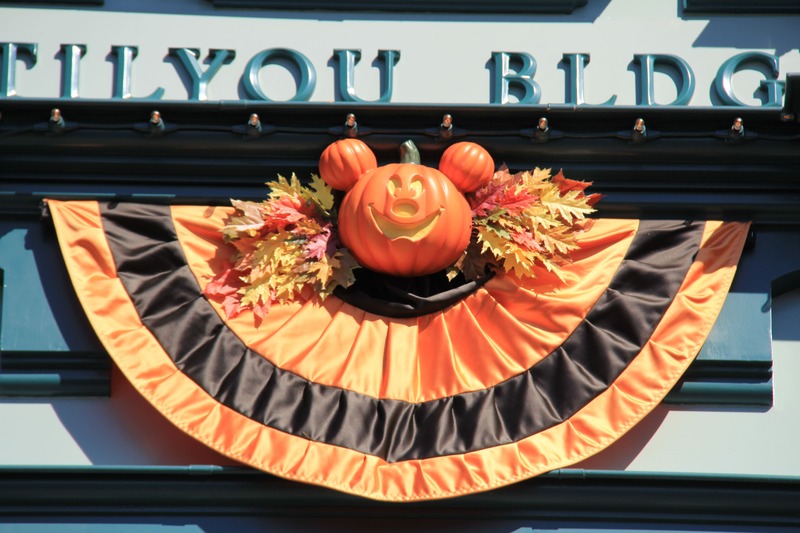 Throughout the park you could meet your favorite Disney Characters in their Halloween outfit. 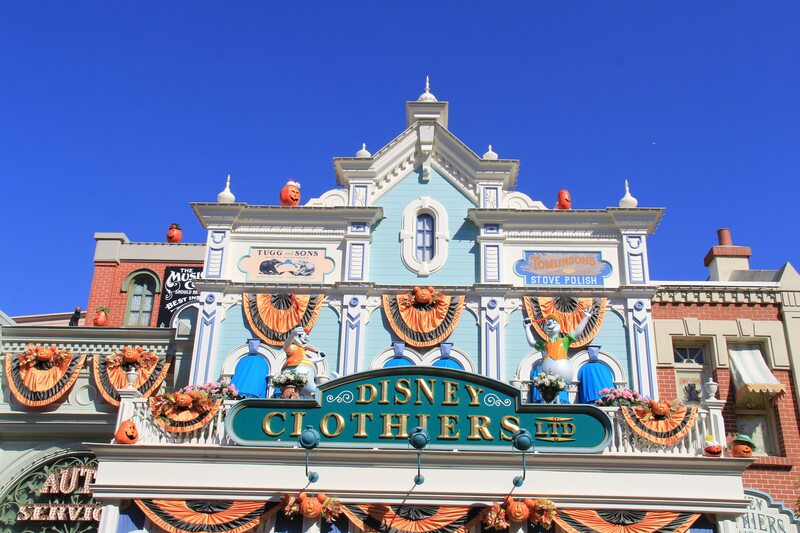 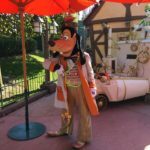 Meet Goofy, Stitch and others in their spooky attire. 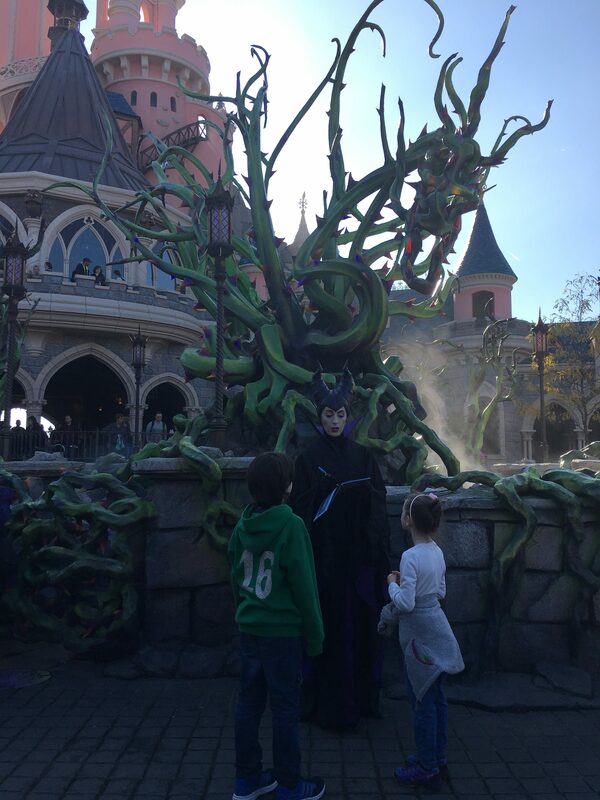 At the Castle Courtyard you could even meet Maleficent. 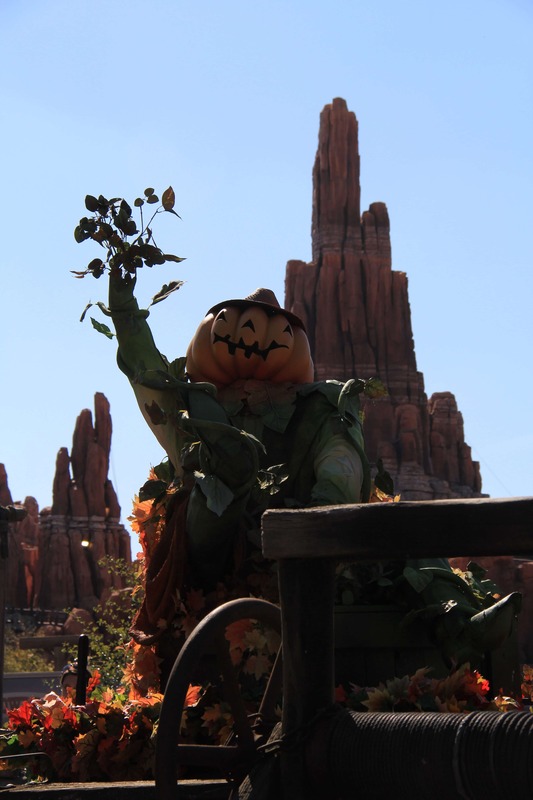 The Courtyard itself had a bewitching briar bush which made it even spookier. 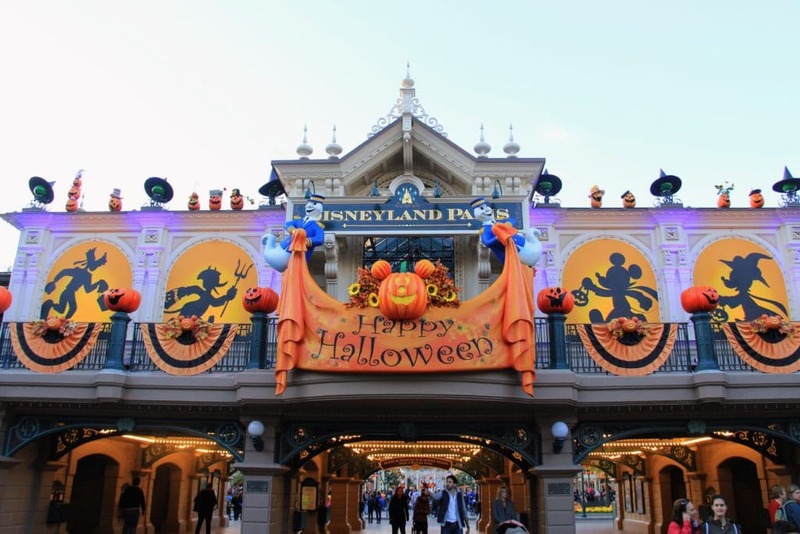 In 2016 the Halloween Party was an amazing event. 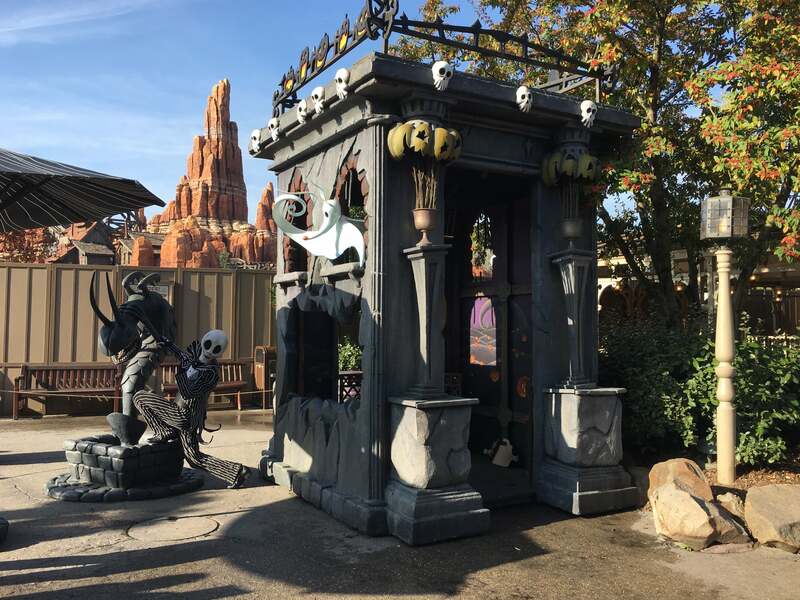 The night itself was of course taken over by Villains, and every Meet ‘n Greet saw a Disney Villain, even the Meet Mickey Pavilion wasn’t safe. 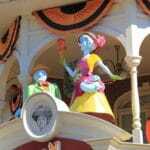 Through the night there were special projections on the castle, there was a special Villains Parade which featured some floats from other parades. 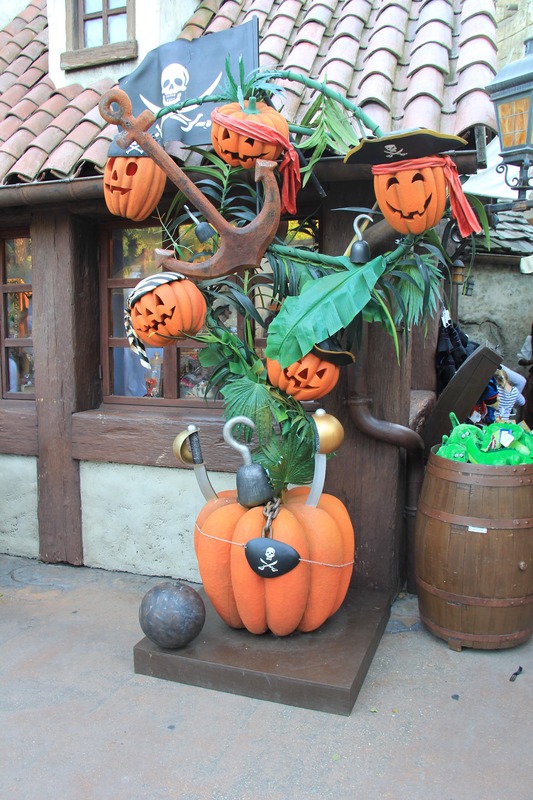 The Pirate Galleon was host to a special Halloween Show with some amazing special effects. 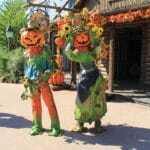 There was a special short Dias de los Muertos Parade in Adventureland and Dr. Facilier’s hosted a dance party in around Frontierland.